For a phone that's supposed to be the poster child of the new BlackBerry 6 OS, we hoped for a lot more. If you're a BlackBerry stalwart then you might find some joy here, but otherwise the Torch is unlikely to convert many of the Android and iPhone brigade. We've overhauled our BlackBerry Torch review in light of recent firmware upgrades and a big drop in price - from £40 to £30 a month in some cases, and nearly £100 off the SIM free price. Take a look at this updated review to see if this extra cost savings make the BlackBerry Torch a market leading smartphone. For years, they were the businessman's workhorse – the status symbol that you'd made it in the corporate world. But Blackberry's approach has changed of late – buoyed on (or shaken) by the success of Apple's iPhone and various Android competitors, maker RIM has reshaped its approach. As Apple tries to show its iPhone can make it in the corporate world, Blackberry's changed its tune and is now targeting the traditionally youthful music and social media lovers. After the love-it-or-hate-it SurePress screen of the BlackBerry Storm and Storm 2, the Torch has gone for what is now the industry standard: a capacitive screen with no clicks needed. The device feels like a quality product. It's shiny and has a 3.2-inch display. While not up there with the iPhone 4's Retina display in terms of clarity, as far as physical size goes, the Torch's screen does give the impression of being bigger than it is. The phone's heavy enough to notice – yet not enough to make carrying it a chore. But while the sliding keyboard locks in and out without rattling, this doesn't feel like a device that would survive being dropped onto a hard floor too many times. 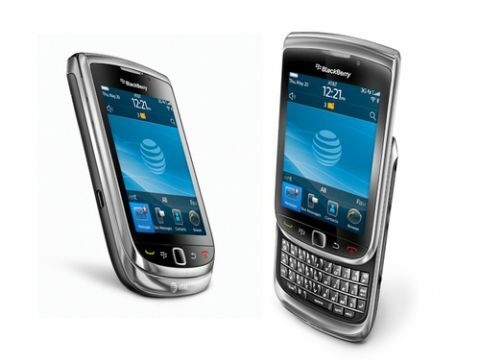 The key selling point when the Torch was released in late 2010 was that it was the first device to ship with BlackBerry OS 6. But now, it's got competition in the Bold 9780. Function-wise, they're the same with GPS, Bluetooth, 3G, Wi-Fi and a 5.0MP shooter –but even though the screens are of an identical resolution, the Torch's falls behind that of the Bold 9780 because the pixels are spread over a larger area, resulting in it not looking as sharp. One of BlackBerry's strengths has always been just how much you can customise its devices. This is either through BlackBerry Enterprise Server (BES) – where the employer customises it and you have little control – or BlackBerry Internet Service (BIS), where you can change as much as you like. Indeed, when you go from an iPhone to a Blackberry, you realise just how closed Apple's system is. But can you have too much of a good thing? The answer is probably yes. For example, changing the ringtone is easy enough, but customising profiles is an intense experience, with so many options even a power user is left reaching for the smelling salts. Setting up ringtones, text alerts, MMS alerts, email alerts, Twitter, Facebook, the browser, IM, BBM and so on gets confusing when you realise just many options you have, and you end up giving up halfway through. One huge omission has also been made with the Torch. When we opened the box, we were pleased with the various accessories (including standard BlackBerry international chargers), but where was the case? Close inspection revealed that this phone doesn't come with one, which we find unforgivable. BlackBerry has bundled one with almost every phone it's made in the last few years and there's a reason for that – not only do the holders protect the phone from bumps, they also automatically shut off the screen and put the phone into standby, helping the battery last even longer. If the phone is in your pocket or bag, it prevents you accidentally dialling a contact - although the touchscreen slider should help there. We can't, for the life of us, understand why BlackBerry have left such an obvious accessory out of the Torch's box, other than to encourage you to buy one. If that is the case, it will certainly irritate the legions of users that have become accustomed to getting a fancy new holster with every new BlackBerry.